1. 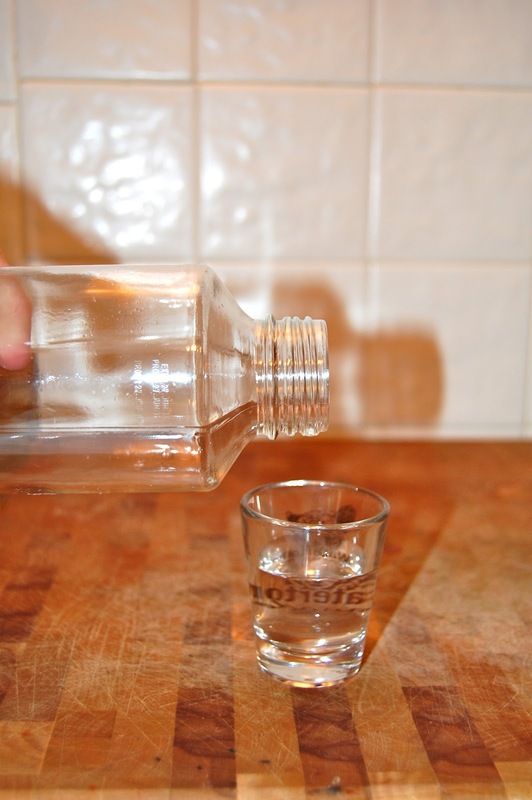 Start by finishing off that vodka or whatever elixer inhabits that old bottle. If the label is paper use a solvent to remove glue. Goo Gone works well. If the label is painted on, as was mine, use a paint thinner or high concentrated alcohol to remove. I used 91% pure alcohol on this bottle and the painted label came right off. 2. Rinse bottle thoroughly with tab water. Do not use any soap or solvent inside the container. Any chemical residue will cause your system to crash. Once completely rinsed, set to dry in a warm or sunny place in order to encourage any remaining chemicals to evaporate out of the bottle. 3. You're going to need some sludge. Head over to your nearest pond, creek, or bog and scoop up a nice cup-full of muck, mud, or mire. As bad as it may look and smell this pond scum is the necessary foundation of your miniature ecosystem. As you can see my sludge is not all that mucky. It contains sand, dirt, pebbles, and shells that are coated with bacteria and microorganisms necessary to maintain the system. If you look closely you'll probably even see little organisms swimming around in your cup. If you are aposed to wading into a sullen marsh, find an adventurous adolescent with a propensity toward getting dirty and an eagerness to acquire muck. 4. Pour your acquired scum into your container, pebbles, sand, shells and all. 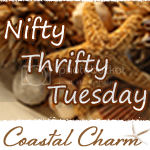 You will want to have no more than three quarter of an inch of gravel at the bottom of the jar. You can add polished stones or shells for decoration as long as they're not painted and you keep some of the sand and mud from the pond (remember we need the bacteria). Depending on the clarity of your pond water you may only want to fill your container one-third to half-full. You want to be able to see the life inside and cloudy water will not do. 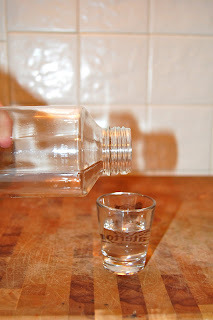 (If you do have to add water for clarity, use distilled or add a water conditioner to your tab water. I used Tetra Aqua AquaSafe but any de-chlorinator will do.) Fill the container with clean water leaving an inch or two of air at the top. If you can't find any suitable plants, there are a wide variety of aquatic plants available at your local aquarium store. The national chain stores will sell you one but if you go to a locally owned fish store, and you ask nice, they will probably give you a cutting of something. Java Moss (pictured right) works great for this project and they should give it to you, all you need is a pinch. 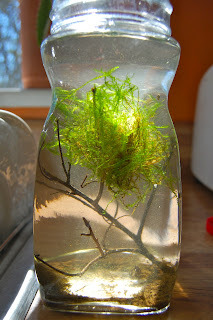 Hornwort is also great and depending on the size of container you want to fill, you only need a few inches of it and should be free or very cheap at a locally owned establishment. 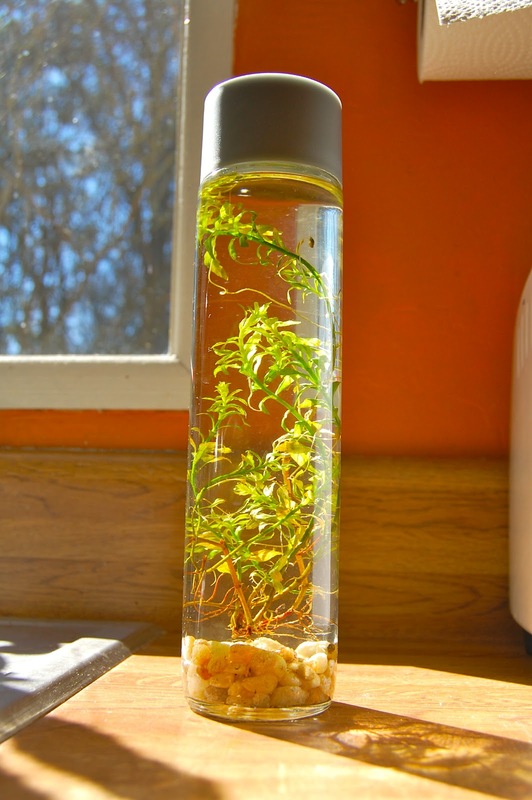 Anacharis, Water Sprite, or Rotala could also be used and are readily available at any pet store that sells aquatic plants. purchased. Any small arthropods or scuds such as: gammarus shrimp, brine shrimp, or daphnia can be kept. These pond snails were also a welcomed addition to my ecosystem. They were hitchhikers on my plants and they will be a great clean-up crew and will happily consume any decomposing organic matter or detritus that could build up inside of the glass. There you are, a self- sufficient ecosystem. Remember to keep your container shut tight. Keep your Ecojar near a light source but not in direct sunlight. If you notice algae growing on the inside of the jar it may be getting too much sunlight and needs to by moved away from light source or window. If your plant begins turning brown you might not have enough light and may need to relocate it closer to a window. Your system could last several months or even a year. 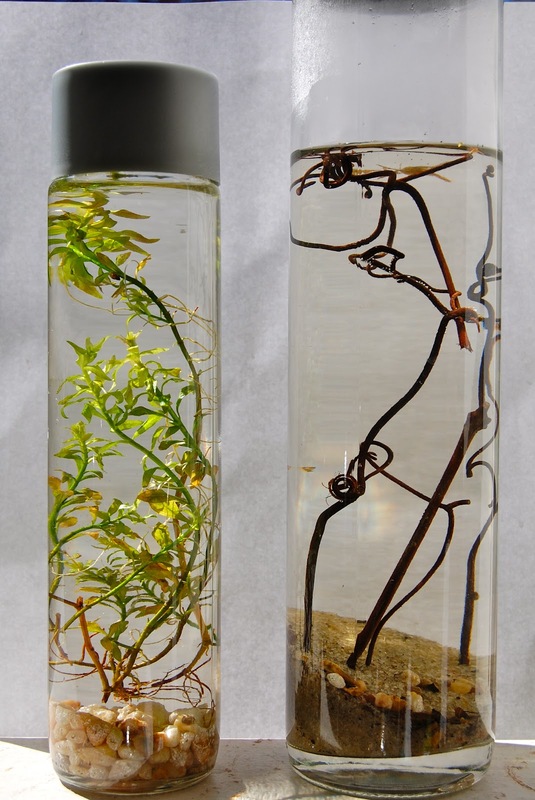 In any case it makes a great temporary science study, a great project for middle-schoolers, or a conversation piece with an earthy aesthetic. Visiting from At Home with K - and now a new follower. Very very cool. Good ole Andre. Always with the tricks up his sleeves! These are the coolest! I've seen them in magazines and they are expensive. Yours look great and I'm going to try to make one! Following you via GFC. Thanks for sharing this. I found this on Pintrest and really want to give it a try. I was wondering if the pond water/lake water/bog water needs to be from a natural water source or not. Would man made lake water suffice? Here in the Southwest we really don't have very many natural water sources. Thank you so much! What about those glass candle jars? the ones with the glass lids with rubber around the inner edge? Do you think that would be a good enough seal? After all the wax is gone and it's scraped and rinsed, obviously. I just think it would be really pretty. How do you prevent the plants from rotting?